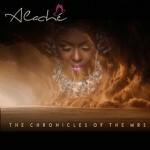 AlphaOmegaNews» Blog Archive » Alache` – The Chronicles of the Mrs.
Alache` – The Chronicles of the Mrs.
“The Chronicles of the Mrs.” is the first album from Alache` after a 5-year hiatus. The time lapse has provided her a plethora of life experiences to draw from and to sing about. You can definitely sense some major life changes in her lyrics. I like the R&B and soulful vocals, but It is the lyrics that have really stood out the most for me on this album. The praise that she offers in “Another Day” is not a contrite statement. It seems to come from a heart that’s been broken and restored “deep inside” as the lyrics say. There seems to be a lot of pain behind the lyrics through out the album. “Find Me” is a very personal plea for God’s grace and guidance and “Heaven’s Angel” is another such track speaking of life and death. “Same Tears Different Pain” clearly follows the same line of thought. “The Chronicles of the Mrs.” seems to be a very personal album and even though it is full of sadness and pain, I find it to be edifying. I just have to go back to that lead track; “I have hope, I’m alive, I have peace…” and I know that there is hope. For more on Alache` check out her official website at http://www.alache.com/. This entry was posted on Friday, March 18th, 2016 at 2:40 pm and is filed under CD Reviews . You can follow any responses to this entry through the RSS 2.0 feed. Both comments and pings are currently closed.